William M. Fowler, Jr. has been an integral member of the Northeastern University community since the early 1960s. 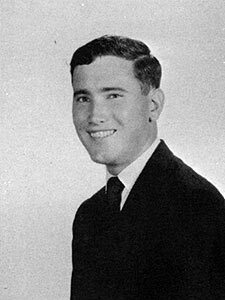 His Northeastern ties begin in 1962 when he, as the first member of his family to go to college, chose to attend the University without ever having even visited. Bill selected history as his major and graduated with his bachelor's degree in 1967. He subsequently moved to Indiana to pursue his Master of Arts and PhD at the University of Notre Dame. Upon graduating from Notre Dame in 1971, Bill accepted a position at Northeastern as assistant professor of history. He would become acting associate dean of the College of Arts and Sciences in 1977 and a full professor in 1980. For a stint, Bill's career took a slight turn as he made his foray into the administrative side of the educational process. During that time, he served as an assistant to the vice president as well as vice provost for undergraduate education. As teaching was always his primary interest, Bill returned to the classroom and chaired the Department of History from 1993-1997. Bill Fowler in the 1967 Cauldron yearbook. 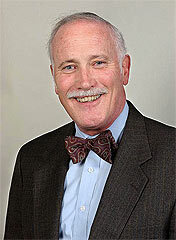 Bill is a Distinguished Professor of History and is very active in the Northeastern community. He is the former president of the Alumni Association and former overseer on the board of trustees. In the mid-1980s, he chaired the Campus Campaign, which was an ambitious fundraising initiative that raised more than $1.5 million from faculty and staff for the construction of Snell Library. Bill was presented with the 1994 Outstanding Alumni Award in recognition of his service. In 2000, he received an honorary degree in Humane Letters from the University. In addition to teaching at Northeastern, Bill is the Massachusetts Society of the Cincinnati George Washington Distinguished Professor. He is also the author of a number of books focusing on American history including: Under Two Flags: The Navy in the Civil War; Silas Talbot Captain of the Old Ironsides; co-author America and The Sea; William Ellery: A Rhode Island Politico and Lord of Admiralty; Rebels Under Sail: The Navy in the Revolution; Jack Tars and Commodores: The American Navy, 1783-1815; Samuel Adams: Radical Puritan; and Empires at War: The French and Indian War and The Struggle for North America, 1754-1763. Bill has taught courses concentrating on the History of Boston, Maritime History, and the History of New England. He is the former Gay Hart Gaines Distinguished Fellow in American History at Mount Vernon, has taught at Mystic Seaport Museum, and lectured at the Smithsonian Institution, the United States Naval War College, and the Sea Education Association. Bill is also a trustee of the Ralph Waldo Emerson Association, The Paul Revere Memorial Association, The Rhode Island Historical Society, and the Old North Church Foundation. He is a member of the Massachusetts State Archives Advisory Commission and an honorary member of the Boston Marine Society, as well as a Consulting Editor to The New England Quarterly. Bill and his wife, Marilyn, reside in the Boston area and have two children.